Volkanic Bike Hire have some 20 plus Marin Bobcat Hardtail Mountain Trail Bikes for daily or weekly hire at Geçitköy Village. The bikes come with helmets, toolkits and pump per group. There are mapped and waymarked trails around Geçitköy Reservoir, which are of varying lengths and difficulties to suit all comers. 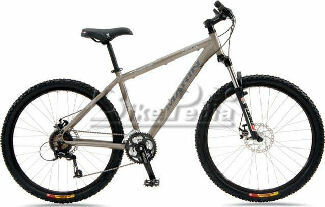 The bikes also come in various frame sizes to suit most comers. £10/12EU Per day and £60/72EU per week. If using accommodation mentioned on this site, bikes can be waiting for you on arrival with no delivery/collection charge.